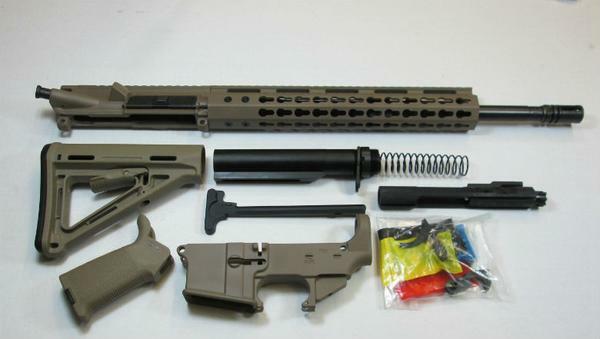 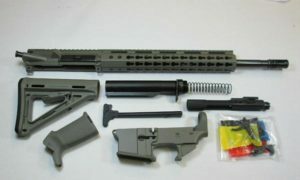 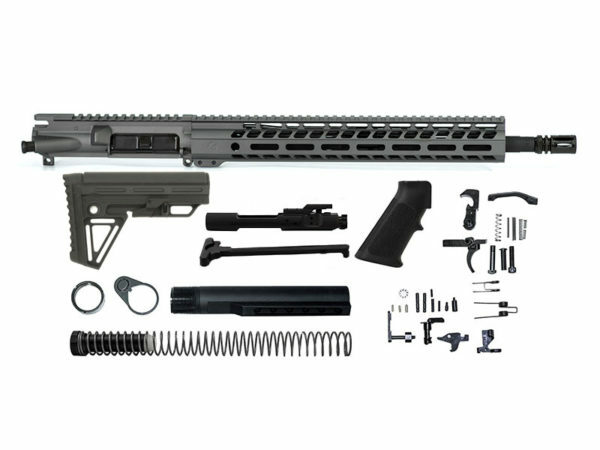 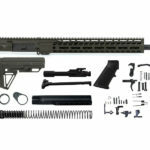 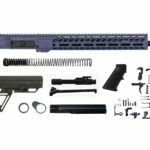 The Ghost Firearms Elite 16″ 5.56 NATO Rifle Kit in Tungsten Grey Cerakote Finish includes the Ghost Firearms Elite 10.5″ 5.56 NATO Upper plus everything else, other than an 80% Lower Receiver, that you need to build your own AR-15 Rifle! 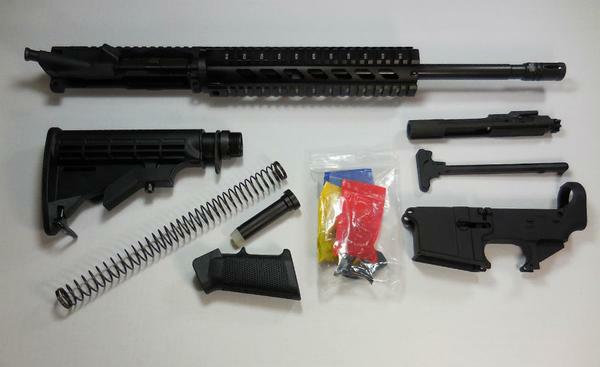 It features a 16″ Barrel with a 1:7″ twist and an A2 Birdcage Flash Hider to finish it off. 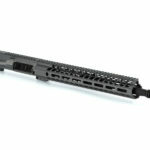 The 14″ free floating M-LOK Handguard is Tungsten Grey Cerakote Finish and engraved with the Ghost ‘G’. 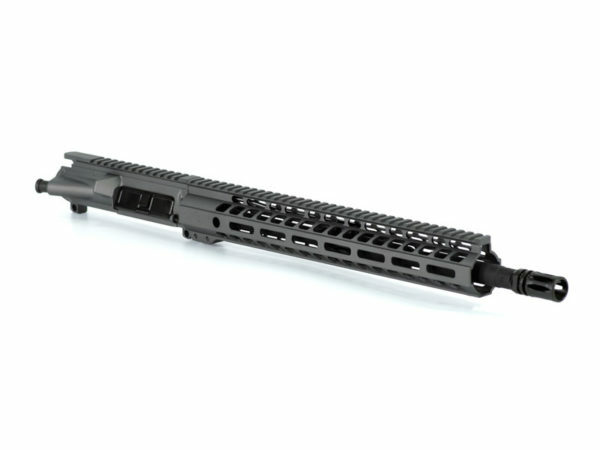 Also, the Ghost MIL-SPEC 7075-T6 Aluminum Upper Receiver is matching Tungsten Grey Finish. 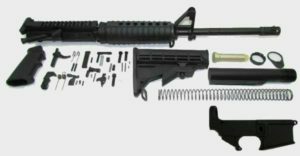 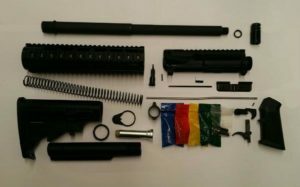 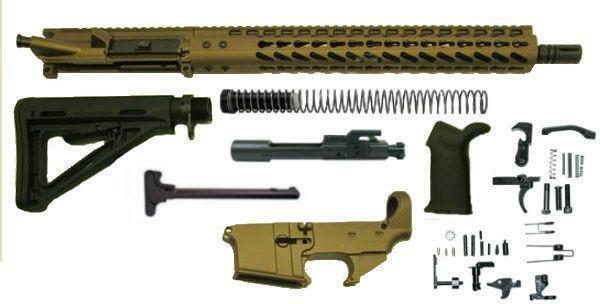 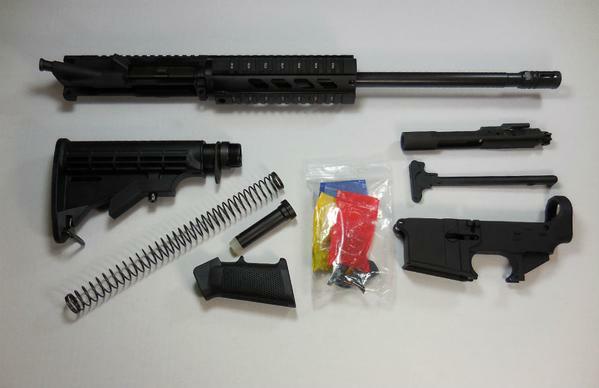 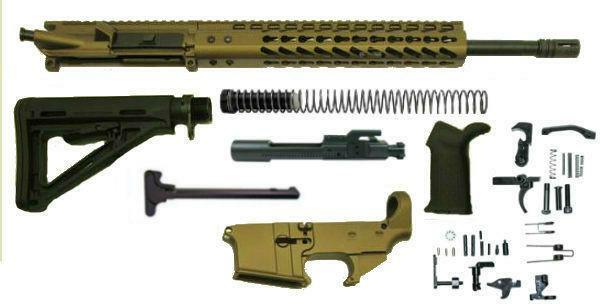 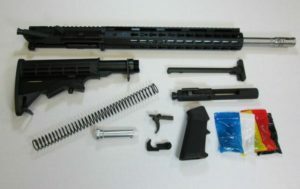 Lastly, an M16 MIL-SPEC Bolt Carrier Group (BCG), Charging Handle, Complete Lower Parts Kit, and a 6-Position MIL-SPEC Stock Kit are all included.